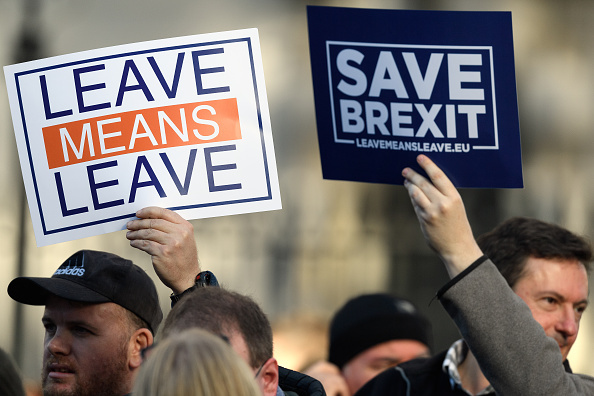 Once again the threat of a 'no deal' exit from the European Union is being exploited by politicians on all sides as pressure builds ahead of the so-called meaningful vote. 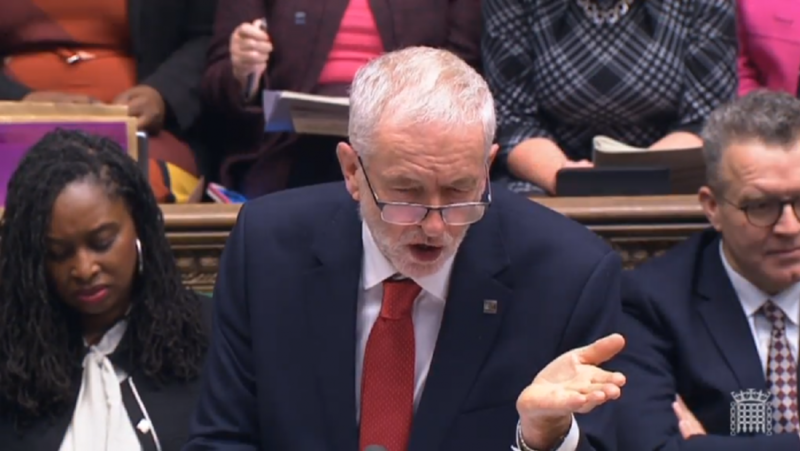 At PMQs today Jeremy Corbyn put a straight question to the Prime Minister: "Are there "no circumstances under which the UK will leave the EU with no deal? " This was a strong opener, and one that sought to put the PM immediately on the back foot by catching her in a trap. Answering, she said: "no", and told the House that without her deal there would be "either be more uncertainty, more division or it could risk no Brexit at all". Does the Prime Minister really believe that? Behind the scenes, No 10 wants to use the threat of no deal to pressure her own MPs into backing her deal. Can they in good conscience go back to their constituencies and sell a no deal exit to voters? Painting the meaningful vote as a choice between Theresa May's deal and no deal is a crucial strategy in the upcoming whipping operation. Yet, earlier, newly returned minister Amber Rudd caused the government difficulties by scuppering that narrative. The split over the possibility of no deal as a realistic outcome is establishing itself as a real fissure in the debate ahead of the vote. The PM remains determined to stick to the threat of no deal - it is, at the very least, a useful political weapon. She would not be drawn with clarity on whether the deal was set in stone or amendable. The PM said the Withdrawal Agreement is "part of a package" with the political declaration. Meanwhile, Labour proposes an alternative deal - the details of which will become clear in the coming weeks as the party's proposals are picked apart by analysts. The remainder of Mr Corbyn's questions lacked the sting of his opener. As often in exchanges on Brexit, the tension between forensic analysis of the detail and big picture criticism of the government led to something of a muddle. "Isn't it the case that Parliament will rightly reject this bad deal?" Mr Corbyn asked. Labour continues to emphasise as its core narrative that it will vote down the deal as it does not meet the party's six tests. Mr Corbyn's party continues to push for an early general election. The Labour leader's spokesman told journalists: "This government is in a state of disarray. It is trying to deliver a deal which does not have the confidence of parliament or the country." Regardless of the vote outcome, Labour will continue to exploit the atmosphere of hostility which surrounds the PM. Quite apart from the exchange with the Labour leader, Mrs May would have felt hemmed-in this lunchtime by opponents around the House - with many behind her on her own backbenches. Scattered around the Chamber were pointed warnings to the PM of the opposition she now must overcome - either by winning them round, or defeating them. Furious Tory backbencher Andrew Rosindell said he was "deeply unhappy" with the withdrawal agreement and urged the PM to "completely cut away the tentacles" of the EU. Neil Parish, chairman of the Environment, Food and Rural Affairs Committee, warned the Irish border backstop "threatens the integrity of the UK". DUP Westminster leader Nigel Dodds had stern words for the PM: "In the December joint report agreed between the European Union and the United Kingdom it was agreed that Northern Ireland would have the final say on whether or not it diverged from the UK single market and was subjected to single market European rules with no say, why has the Prime Minister deleted all reference to that in the withdrawal agreement. "Did she push the delete button?" What matters in the coming days is the extent to which the dissenting voices on all sides of the House of Commons will act on their words. On Brexit at least, the Wednesday lunchtime exchange across the despatch boxes no longer counts for as much as it once did. Today's exchange was considerably less combative than it might have been, as both Mrs May and Mr Corbyn scrabbled to maintain and explain their own positions - and indeed the overall situation - rather than venturing onto the attack. The mood remains defensive rather than offensive in part because the fight that matters is now in the hands of 650 MPs - not two party leaders. The real battle for Brexit has now been transferred to the voting lobbies.